There is a new pizza guy in town! There is a new pizza guy in town. But this time, it really is something different. If you like these cute, tiny restaurants, lit by candle light, with romantic Italian music in the air and waiters attending you with every whim and fancy…STOP READING NOW! There are a couple of reasons that make me say this. Ferdinando’s lays hidden somewhere in the Waterkant. You enter the place through the backdoor, no signs pointing your way, when suddenly you find yourself standing in an ordinary flat. The living room is a mingle-mangle of lovingly put together decor and furniture: couches, the TV, the bar in the corner, the small wooden dining table in the middle, rather make it resemble a flat-sharing community than a place where you can order food. The only thing that makes you believe that this is a food place, is the huge pizza oven in the kitchen. The young Italian guy with the beer in his hand standing proudly next to it is Diego – the chef – who works under the watchful eyes of his boss, Ferndinando – the dog. The trio is completed by Kimon, the artist, who whirls around, introducing and entertaining everybody with her bubbly personality. 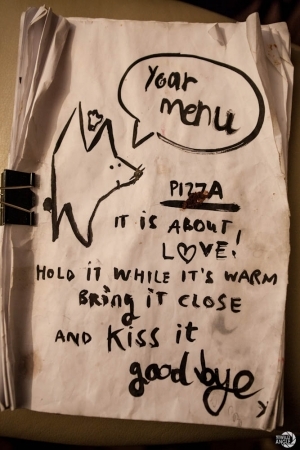 You can choose your pizza from a beautiful and funny hand-drawn menu which offers a variety of delicious creations, prepared right next to you. Also ask Diego for any recommendations or own combinations – he will gladly accompany you if he has the ingridients. 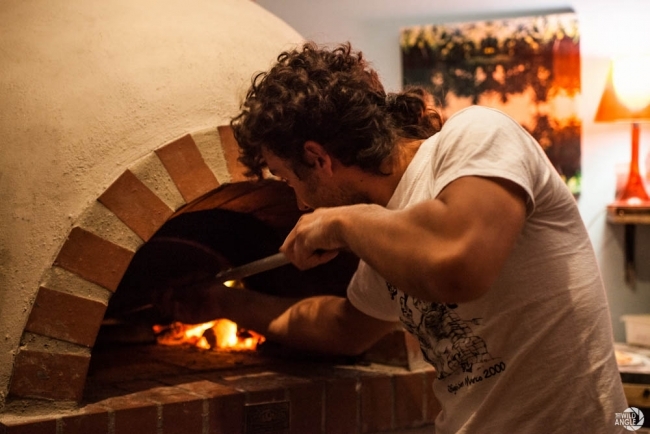 Sitting in the kitchen, watching Diego’s passion for pizza, listening to his stories about cooking and his philosophy creates a very personal and enjoyable atmosphere. He calls his place a „take-away lounge“, not a restaurant. 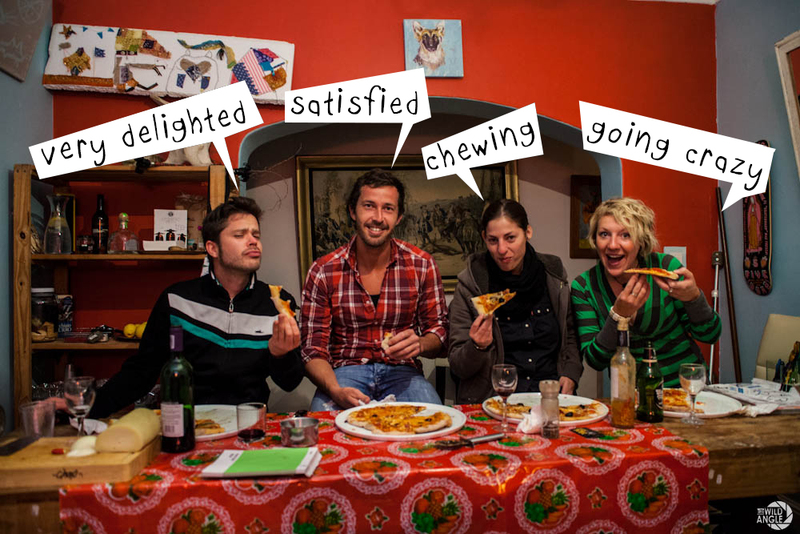 People can come and order their pizza, but they are also heartily invited to chill and eat in the lounge or kitchen. You can absolutely taste that he only uses original Italian products and he knows how to use them! There are not many places in Cape Town where you can get a pizza that tastes like it is made in Italy. This one does! A perfect crusty base, lined by a tomato sauce which is very inconspicuous yet tasty and is highlighted with fine herbs and mouth-watering melted mozzarella on top. Just an extremely delicious pizza for a very decent price! No credit-cards, put your money in the „honest-box“, take your change. Ferdinandos opens Wednesdays to Fridays, for reservation just call: Diego +27 843519248 or Kimon +27 847710485. 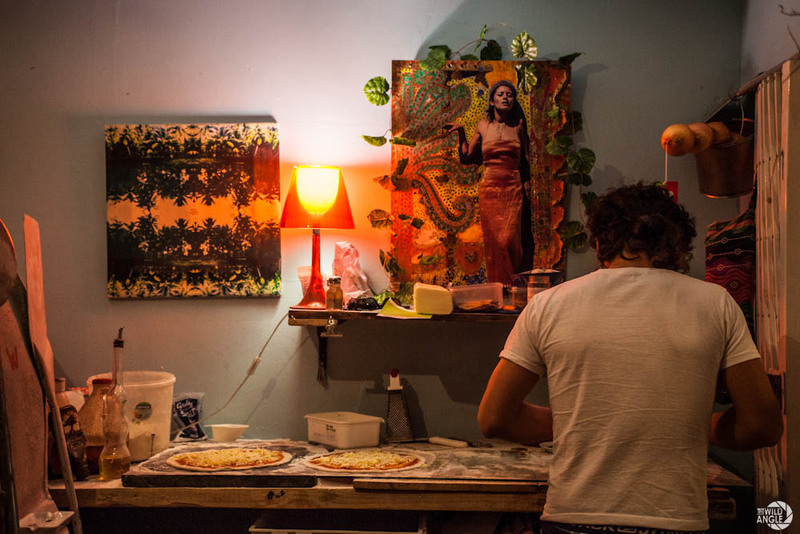 Private Pizza parties can be organized for groups from 15 people. There is no better PIZZA in town!!! Ferdinandos stole my taste buds and my heart!! 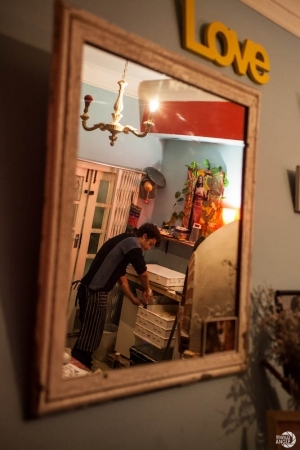 the combination of the mouthwatering italiano chef’s pizza with the hospitality of the feisty italiano-portuguese-south african maitre d’hotel creates a smattering of taste sensations never to be forgotten!! !